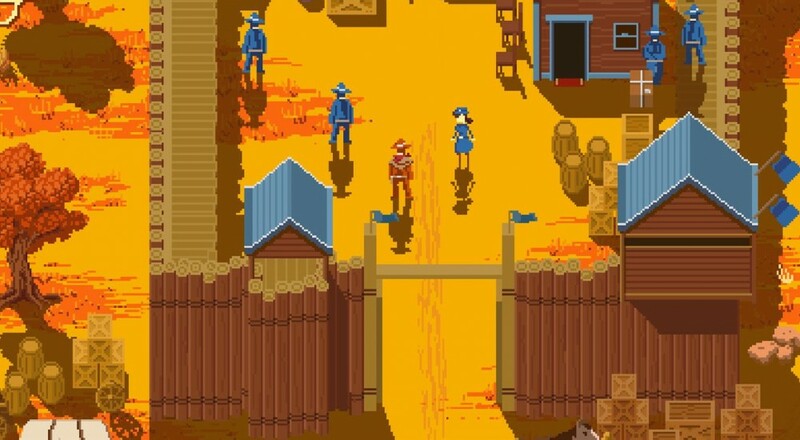 One of my favorite PC releases last year was Westerado: Double Barreled. This arcade-y semi-open-world title not only drew inspiration from Spaghetti Westerns, but parodied them as well. And now, you and a buddy can embark upon this tale of revenge together on the Xbox One. Your main objective in Westerado: Double Barreled is to track down the gunman who murdered your family by going around the world talking to its inhabitants and gathering pieces of information about him (or her). You can play along with people, or, in true Western fashion, you can just pull your gun on them and try to force it out of them, though that may have consequences. The game supports two player local co-op throughout the campaign, albeit with the caveat that the second player is tagging along for much of that campaign. Only the first player can actively engage with other characters or buy items while the second player is relegated to the "second shooter" role. Westerado: Double Barreled is available for the Xbox One for $7.99 (a $2.00 discount) until this Friday, December 16. Page created in 1.5251 seconds.